Obituary for Gladys C. Swartz | Cremation & Funeral Service by Gary S. Silvat, Inc.
On Friday, November 2, 2018, Gladys Swartz, age 91, passed peacefully at St. Elizabeth Youngstown Hospital with her children at her bedside. She was born in Southington, OH on November 25, 1926 to Floyd Orlando and Mae (Robison) Chalker. Gladys is survived by her children, Randy (Verdena) Kline of Newton Falls, Barb (Thom) Perry of Austintown with whom she made her home, Kay Knowlton (niece); stepdaughter, Connie (Bruce) Ainsley; grandchildren, April (Jim) McIntosh, Sam Kline, Gage Perry; step-grandsons, Tom Perry, Jeff (Heidi) Perry, Jason (Carrie) Brown; step-great-grandchildren, Dylan, Dalton, Nick, Alex, Madison; step-great-great-grandchildren, Luca, Henry; siblings, Blaine (Betty) Chalker of Parkman, Audra Stanford of Southington and her two dogs, Jensen and Jasper. Besides her parents, Gladys was also preceded in death by her siblings, Wayne Chalker, Ruth Kyle and Bethel Lynch. Over the years Gladys worked at Ohio Lamp, Ravenna Arsenal and in 1993 she retired from Packard Electric. 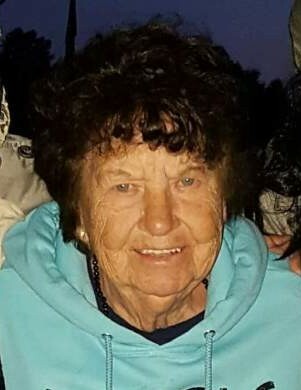 She was an avid Roller Skater and spent many hours at both the Newton Falls and Austintown Skating Rinks. She loved to swim and was proud to belong to the animal rights group, "We speak for the Voiceless." Just this year Gladys performed in the DC Dancers of Warren's annual recital and was the oldest performer to participate. Most of all she loved to vacation at the beach with family and friends. Gladys would want any material donations to your local animal shelter, pound or online. Arrangements by Cremation & Funeral Service by Gary S Silvat Inc. Send condolences by visiting: www.cremateohio.com.